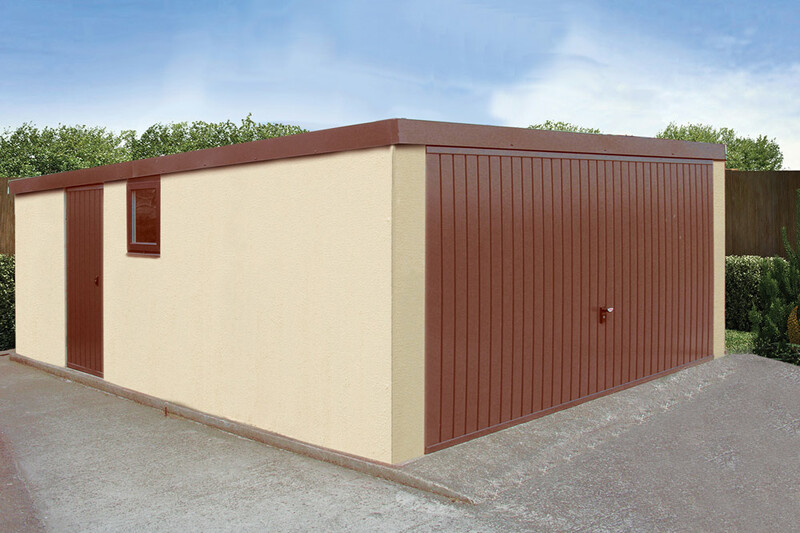 Our best value for money building. 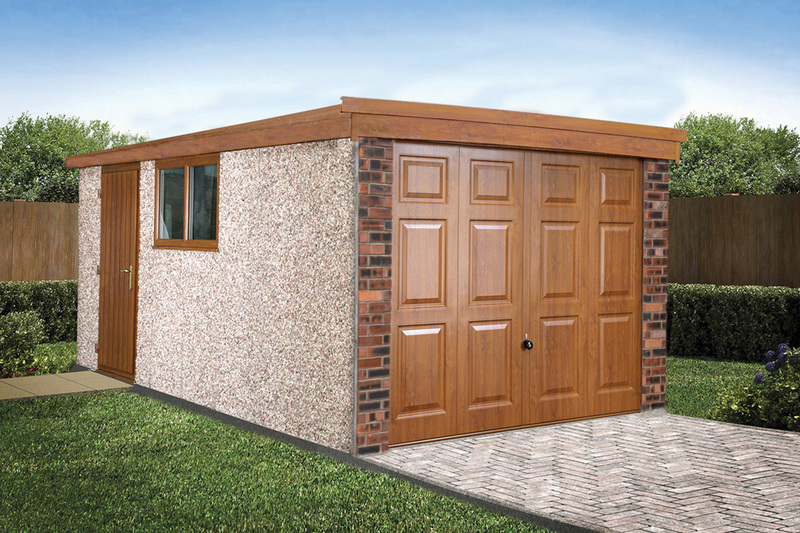 A solid workhorse for garaging, workshop or store with a flat roof sloping gently from front to rear. 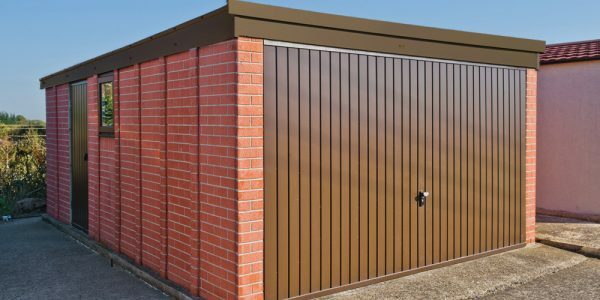 Hörmann Fully retractable, fully pre-framed door ensures perfect fitting every time. 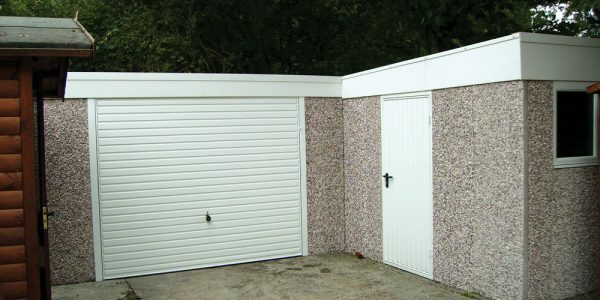 Despite our Pent Sectional garage range giving the best value for money, we have not cut back on quality. 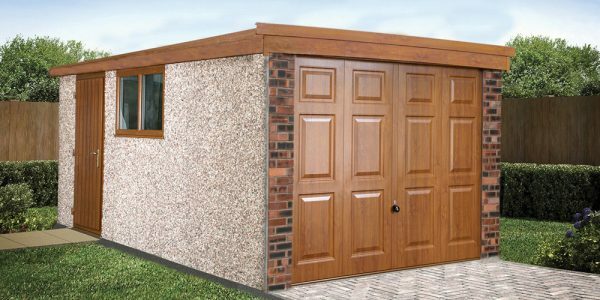 The best quality materials ensure your investment continues to give the best value for money, year after year. 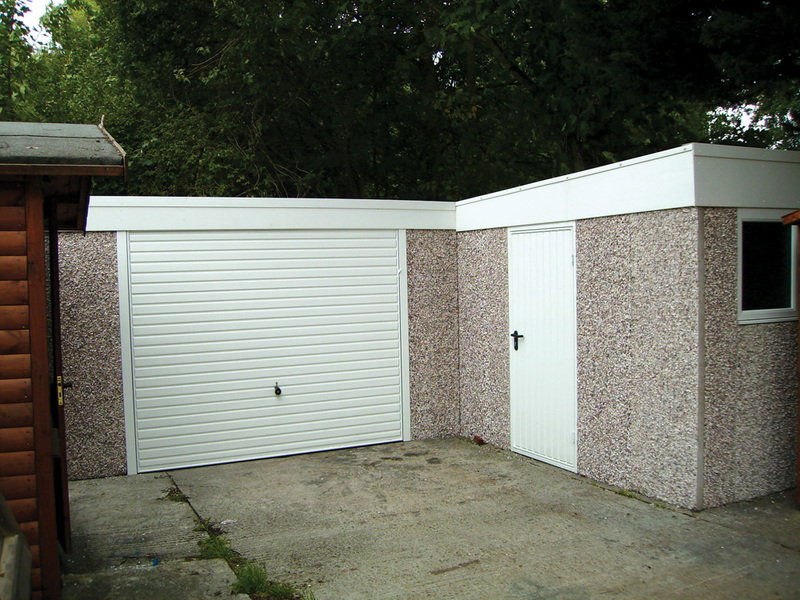 The best concrete garages for sale in the UK? 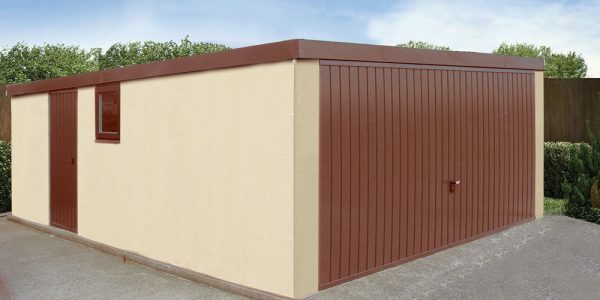 Bespoke Options allow you to personalise your building. 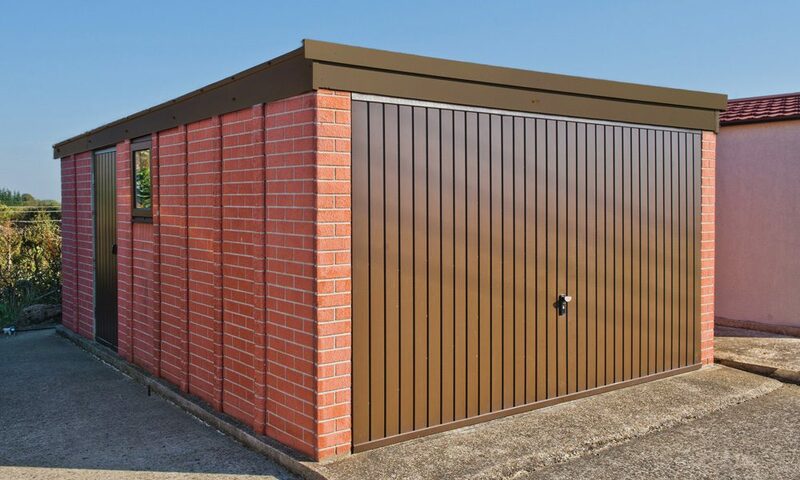 Spar, Brick or Stone effect panels, site applied Textured finish, Garaclad PVCu cladding, RealBrick front posts and the full range of bespoke options ensure that you can choose the right building for your house, which will enhance its value, minimise insurance costs, and maximise kerb appeal. PVCu options give you a maintenance free choice. 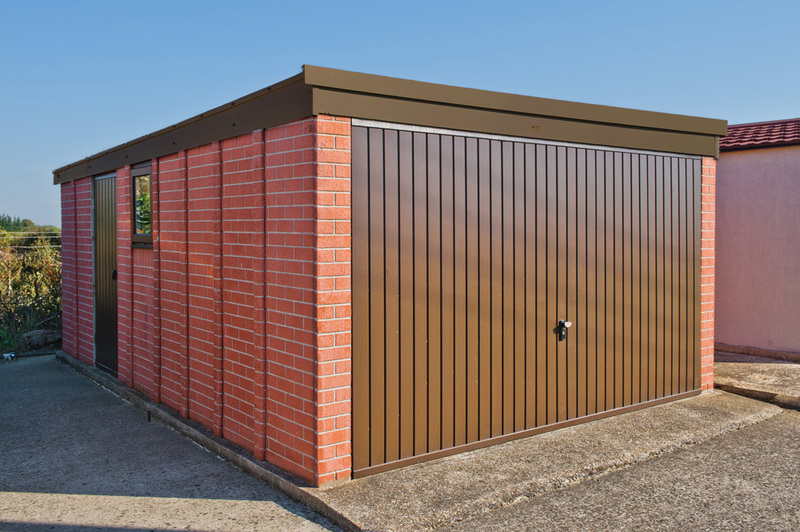 Robust C section galvanised steel rafters supporting a galvanised steel roof, with Grafo-Therm anti-condensation treatment and no joins.